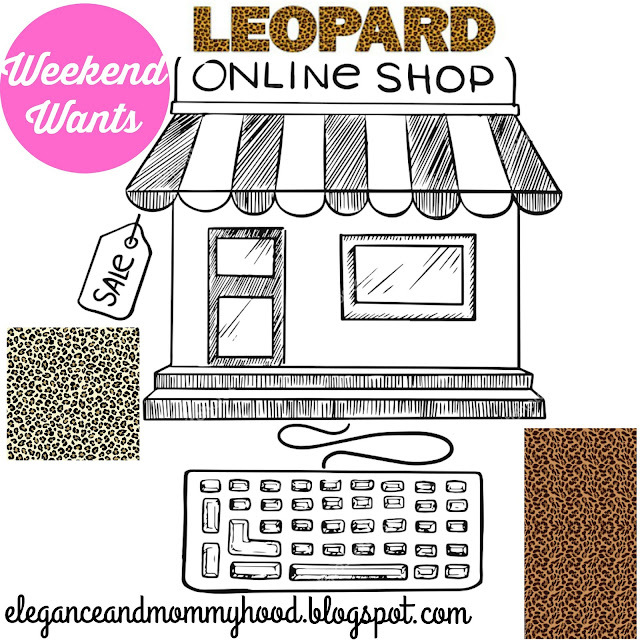 I have always loved leopard print - not just the classic tan/brown/black kind, but snow leopard as well as colored leopard like in blue, red, purple, orange, lavender, etc. (like some of the pieces you will see here). I think I purchased my first leopard-print piece when I had my first retail job which was at Lord and Taylor when I was 18-19. My mom also loves leopard and I think part of my love for this classic, beautiful print, comes from my mom. I think leopard print is classy, classic, beautiful, bold, timeless and seasonless. And as far as I am concerned not only is leopard good for any season but it is also a neutral, especially when paired with other similar colors in the family of tans, browns and black of course. Imagine a pair of dressy black pants, a leopard fitted cardigan, a gold brooch, some pave studs and black or colored pumps - such an elegant office look. Also, a leopard dress paired with white sneakers and a cool fanny pack or a crossbody bag for a fun, modern and super cool mom-on-the-run look. Or a pair of leopard skinny pants, a fuzzy ivory sweater, some bold statement earrings, a sparkly clutch and red booties or pumps which would make a lovely Holiday Look. Leopard has never been out of style but this Fall-Winter Season 2018 I am seeing it everywhere, especially at my favorite stores. Like this puffer vest, these leopard jeans that come both in a curvy and a modern skinny style or this larger-scale leopard sweater I have been seeing lately on so many bloggers - all of these items can be found at Loft. This fitted tie-neck blouse (I love a good pussycat top), or this deep V-neck sweater - both of these are on sale at Express. And of course you could buy several leopard-print pieces at Target now but I am loving their dresses, such as this lovely red-printed front-tie dress which would be great for the holiday season and this classic dress which can go to work, office party, hostess with the mostest, Christmas party, a wedding or New Year's Eve. I seriously want both of those dresses! For more Leopard Pieces you should check out my shopping widget below. I have focused on 6 categories: jackets, sweaters+cardigans, pants, dresses, scarves and shoes/booties. What are some of your favorites, below? !